Comfort and the cross. Faith and forgiveness. Salvation and spiritual refreshment. 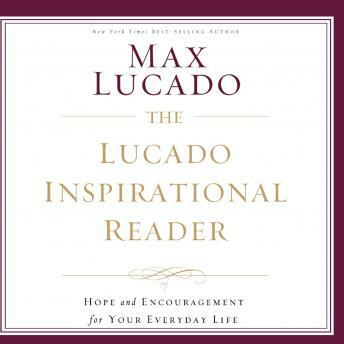 For more than twenty-five years you’ve trusted Max Lucado to walk with you as you ponder these essential truths. This collection of his very best illustrations, stories, and one-liners guides you through his signature themes and life’s most important matters. Spend a few minutes or a couple of hours at the foot of the cross. Take a moment or an afternoon to search the heart of the Savior. Seize a second for a second chance. Return to these words time and again for a dose of hope and encouragement straight from Max’s heart to yours.